Taxes can be confusing, especially when you are going through big life changes. 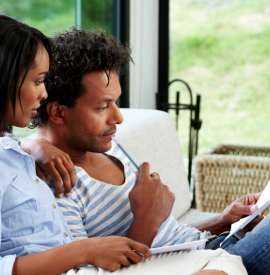 Here's a fast primer on how major life events can affect your taxes. Life is full of change. Some changes are joyous, others challenging — painful even. But no matter if it’s a birth, adoption, marriage, death or divorce, you may face major tax implications. Understanding the ins and outs of these changes can help you make informed decisions come tax time. In addition to the joys of parenthood, bringing a child into your family means you’ll now start thinking about deductions and credits for dependents. How can I be sure I’m able to claim a dependent? • Don’t forget you generally need to include the Social Security number for each dependent on your tax return. The IRS advises adoptive parents who don’t yet have an SSN to request an adoption taxpayer identification number (ATIN) or an individual taxpayer identification number (ITIN). Likewise, you’d request an ITIN for a qualifying dependent who wasn’t a U.S. citizen. • There are other “tests” that your child must meet in order to claim the child as a dependent. Here’s a full list from the IRS. For more complicated situations, here is an interactive tax tool from the IRS. Eager to learn about tax credits? As a caregiver, you may also want to explore the following credits but your eligibility for child-related credits can depend on your income, filing status, the age of the child, your citizenship status and whether the child has a Social Security number. • Earned Income Tax Credit (EITC). Although you don’t need to have a child to claim the EITC, the credit’s value increases depending on how many qualifying children you have. The EITC can be especially helpful because it’s a refundable tax credit, which means it can lead to you getting a refund even if you had no tax withheld. Nonrefundable tax credits only offset taxes you owe. • Child Tax Credit and Additional Child Tax Credit. The Child Tax Credit is worth up to $2,000 for each qualifying child, $1,400 of which may be refundable. Tax reform also temporarily provides for a $500 nonrefundable credit for qualifying dependents other than qualifying children. • Child and Dependent Care Credit. The Child and Dependent Care Credit can help offset the cost of childcare while you or your spouse work, or look for work. • Adoption Credit. If you adopt a child, you may be able to claim the nonrefundable Adoption Credit to offset costs related to the adoption. In addition to these credits, you may be able to lower your state (but not federal) taxes by opening and contributing to a 529 Plan. Many states offer a state income tax deduction or credit for 529 Plan contributions. You can later withdraw the contributions and investment earnings to pay for the child’s eligible education expenses without paying federal or state taxes on the money. When your child is older, there are also tax credits and deductions that can help you pay for qualified educational expenses. Once you’re married and have decided to change your name, you want to notify the Social Security Administration to avoid complications when you file a tax return. Your name on your taxes should match the one the Social Security Administration has. Getting married should also trigger a review of your withholdings from your paycheck — this is your W-4 or “Employee’s Withholding Allowing Certificate” — as your new combined income could change your tax bracket. The IRS has a W-4 calculator you can use to see if you need adjustments. If you do need to adjust your withholdings, you can file a new Form W-4 with your employer. The most significant change in your tax situation may be that you’ll now have to file using married filing jointly or married filing separately as your tax filing status. “There’s no blanket statement for which status is best,” says Nisall. Filing jointly may be the most beneficial because if you file separately you won’t qualify for some credits and deductions, including the Child and Dependent Care Credit, Tuition and Fees Deduction and the EITC. Filing jointly also increases your standard deduction. However, filing separately may make sense in some situations. For example, if one of you owes back taxes. “Otherwise, when you file together, a refund can go to that person’s debts,” says Nisall. As with marriage and taxes, timing matters. If you’re divorced by December 31 you’re considered by the IRS to be divorced for the entire year. So unless you remarry before the end of the year, you’ll no longer be able to file using married filing jointly or married filing separately. If you have a child who’s your dependent and lived with you for more than six months, you may be able to file as head of household, claim an exemption for the child and be eligible for child-related credits. You might be able to claim the exemption and some child-related credits even if the child doesn’t live with you, but you need the custodial parent’s permission. Alimony might come into play during a divorce and has tax implications. Alimony could be a deduction if you made alimony payments; it can count as taxable income if you have received it. Child support is not deductible for the payer and not considered taxable income for the receiver. Last year was one for the record books in terms of natural disasters, with The National Oceanic and Atmospheric Administration estimating 15 disaster events with over $1 billion in losses each, not even counting the costs of Hurricanes Harvey, Irma and Maria. Hundreds of lives were lost and those who survived face untold hardships as they try to rebuild. At least some comforting news is that if you live in an area that was affected by a major natural disaster, you may receive an extension on your tax filing deadline and could be eligible for write-offs for your losses. “Getting an extension can help you avoid penalties,” says Nisall. However, you need to live in an area that the federal government declares a “disaster area.” You can check the IRS’s website to see where it’s providing tax relief. You also may be able to get an itemized deduction for these casualty losses, a term the IRS uses to describe damage, destruction, or loss of your property due to a “sudden, unexpected or unusual event” such as floods, hurricanes, tornadoes, fires, earthquakes or volcanic eruptions. That’s a lot of life events! Now that you know some of the biggest tax considerations that can come alongside major milestones, filing your taxes should be less complicated — or at least less stressful. Head over to our Credit Karma Facebook community to stay connected and interact with others looking to make financial progress.